Finally, one company that can handle it all. 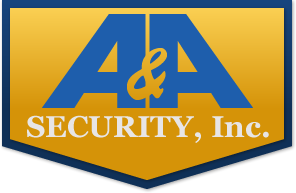 A&A Security, Inc. is a Security Management team like no other. A&A not only provides security, A&A works in your best interest protecting, and preparing your property for sale. A&A works with all officials regarding your property, from code inspectors, tax collectors, court proceedings, and even property tours for potential buyers. A&A is not only able to take possession of the property, but stays with you all the way to sale. Let A&A do the dirty work for you. Thank you very much for providing outstanding service and professionalism at Brodie Mitsubishi. I would definitely consider using your firm for security guard services in the future. Thanks. "Offering You A World Of Service"
Copyright © 2019, A&A Security Inc, All Rights Reserved.